I wonder how many have stopped to think where our dominant side is. We carry out actions involving our dominant side subconsciously. We know that this has little or nothing to do with left and right brained learners/thinkers. Our brains are separate, in two parts, within the skull, the two hemispheres are connected (corpus callosum) by pathways. Many use one-half of the brain far more than the other, and certainly when carrying out certain tasks, Language skills are left brain techniques. Many believe that side dominance causes us to learn differently, many years ago I was told that left-handed be people were less likely to have strokes. I am afraid to say there is little to back up either of these theories. This dominance is okay providing we use that side for most activities. There are activities that utilise both sides, like tying shoes or buttoning shirts. These require a huge degree of dexterity. The half that is used is sometimes tied to which hand they prefer to use. If someone likes to use their right hand when doing an activity, like drawing or throwing a ball. Checking left, and right dominance in those with learning needs especially those with dyspraxia is crucial. Many children with planning and co-ordination problems can end up using the wrong hand or leg, this can lead to problems as the muscle tone is far greater on our dominant side. You can see the grip is very crab-like and awkward. If this is the case the writing will be of poor quality and they will complain of tired hands or hand cramps. Have you noticed how high jumpers, long jumpers, and hurdlers take off, starting off and the stride pattern is so important and allows for them to arrive on the right side? Measuring muscle diameter can point to this being true. We can check the leg we use to step off into our stride pattern. What is the leading leg while climbing the stairs? You can try by using your trailing leg and seeing how strange it feels. The arm we grasp things with or carry a bag. Where do we carry our bags? You can improve co-ordination skill sets by making sure you or your child are using the correct side, left or right. You may have noticed from an early stage that your child struggled with colouring, etc. and this can also be an indicator that is well following up. Even riding a bike can be problematic if the child is starting off with their weaker leg. I would like to mention that for any child with a dominance problem or balance, planning or co-ordination issues would benefit from increasing activities with both sides. Stepping off on your non-dominant side. Activities that get you or your child to cross over their centre line. We have also written a piece on left-right brain dominance that can be found on this blog site. We now offer online tuition. Shared reading can also highlight problems! I have heard so many parents comment on how great their children are at reading, only to be disappointed when they see test results and feedback from teachers. With children going into second level schools it is also worth considering Italian or Spanish as a preferred language choice, if a 2nd anguage choice is mandatory. As previously mentioned, they appear to have a lower rate of dyslexia which could be due in part to fewer variations of the way a word sounds, and in relation to how the word is written down (reading and spelling). “The average language has about 50,000 words in its vocabulary compared to English which has( approx) a quarter of a million million. France has the second largest amount of words" - Lloyd Lofthouse. 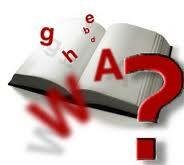 Around 80,000 words in the English dictionary are latin based or taken directly from the French language. Praxis is the ability to organise a thought/action from the brain into a pre-planned movement. In order for someone to demonstrate the appropriate movement/command, the brain extracts and uses information from all of our memory and sensory processing areas ie. 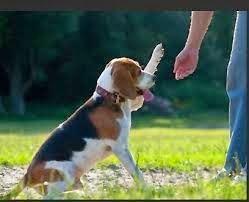 touch, auditory, smell, vision, taste plus vestibular balance/inner ear (proprioceptive/muscle receptors) to start and finish a given task… an example is right hand knowing what the left hand is doing. Taking this into useful terms, apraxia and dyspraxia expresses the lack of maturity in the areas required to fully plan some coordination of movement or speech…this does not mean that we cannot carry out all processes…indeed some with DCD/Apraxia are very good at sport but lack maturity in other areas. 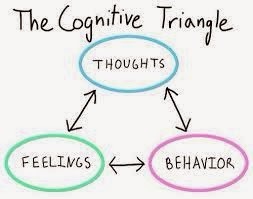 Cognitive …what does that mean? It is the mental/thought process of knowing, including aspects such as awareness, perception, reasoning, and judgment…everything we do for every second of our lives involves our brain in some way, shape or form…even whilst asleep (dreaming…moving, etc.)! Sensory memory is the first tier of memory. Sensory memory retains the briefest image of a sensory stimulus…one effect of brain training is to strengthen this part of our memory…look at an object that is new to you and then close your eyes…then open them. After the object has gone, can you still remember or visualise that object? Rather like turning off the bedroom light and planning your journey to the bed without tripping over the bed or your shoes, we manage it sometimes but not always. A baby learns this from around 8-10 months of age. Up to this point it believes everything that goes out of its immediate visual range has gone forever. This is due to lack of maturation of the short episodic and indeed long term memory. We use this as a means to also determine body actions/movement…without signals from the brain to our body we would only move due to nerve or spasm reactions (to coin the phrase ‘running around like a headless chicken’) having no control over movement. Psychomotor - relating to the origination of movement in one or more (single or multi-task) conscious mental activities. It is the transition from the thought to the planning and doing of actions, be it big or small physical activity. Psychomotor learnt skill stored in the motor cortex is portrayed by us through physical skills such as movement, coordination, manipulation, dexterity, grace, strength, speed… actions which demonstrate the fine motor skills, such as use of precision instruments or tools, or actions which evidence gross motor skills, such as the use of the body in dance, musical or athletic performance. We feel cold and a signal is sent from the skin surface to the brain, we then react by shivering…a part of our clothing irritates and the brain moves us to try and create a resistance to that irritation though scratching the area affected…most of these would be deemed primal reactions. Visual motor integration is about taking all this into consideration in order to move forward with a given task and we can do this with all children and adults, but on occasions we must adapt the way we attack the learning process… this means linking coordinated visual perception skills together with gross-motor movement and fine-motor movement in a way that becomes as simple as possible in the early stages of learning new tasks, until sufficient levels of proficiency are reached… for both practical and academic outcomes to be fulfilled. Praxis for the most part comes from learning and development (maturation) although as mentioned some would be primal (genetic). We use several processes to complete the most basic of tasks. Some of the tasks in early infants are learnt through monkey see monkey do and others through stimulus and natural development. These would range from the sitting up phase of a baby around 6-8 months, to coordinating limb movements to enable the child to crawl and then to stand and eventually walk…much of this progression is down to curiosity and the need to survive….keeping warm to eating and drinking. However we have far more complex tasks along the way and we can’t do everything by ourselves. On occasion we have to coordinate with others… this could be using one’s thoughts and another’s physical skill to complete a task. Fine motor tasks are often harder for someone with Dyspraxia or DCD… like learning to ride a bike involves multi-tasking or tying your shoes for the first time is a very complex task and one which many take for granted. We don’t perceive all these components separately. For example, as you watch a child/adult complete a task, such as tie his/her shoe laces, we don’t break it down into different actions, even though in the case of dyspraxia we should (over-learning is vital). Also, balancing maybe to put on a sock or wash their feet. However, when a child has apraxia, these tasks have to be broken down into singular components and then practised and built in order for the child to complete the whole task. If you take a sequence like dressing, which becomes second nature to many, this would be an extremely complex task to someone with dyspraxia or apraxia. In order to achieve this, as with other activities, they could benefit from visual instruction in the early days until the skill becomes second nature…pictures or even post-it notes are very handy. Tying shoe laces is a task made easier by practising with the shoes on their lap at first, break the task down to single actions and then let them repeat it until it’s achieved with ease…my son achieved this after two hours and is now delighted to be able to wear any shoes he so chooses. Being honest he did better than I…when I was young I remember sitting with a very tolerant girl in our village (who wasn’t aware I was dyspraxic) nearly the whole day and I finally mastered the skill! The focus of many dyspraxics is more often than not is singular…multi-tasking is quite difficult, if you overload them with several things to accomplish be prepared for them to get this wrong or complete only part of your request and always remember rarely is this done deliberately. “Be patient and praxis will eventually make perfect”. For those whose children bum shuffle, show them how to crawl, the increases in co-ordination are invaluable. it is so important due to slow processing ability to give long periods for practice that you would to their peers, remember demonstrate a task several times and show them piecemeal (over learning wins every-time). Diagnosis of dyspraxia in adults is far harder to detect/diagnose… why is this? As we go through life, we find ways to compensate in many areas that would highlight balance co-ordination and processing and we can avoid tasks that bring about problems for adults with dyspraxia. Competition is one area, children tend to either get, or want to be, involved in sport during school time or with friends, adults can avoid sports if they wish and it goes almost unnoticed as is so often not the case when young. We mature slower than most around us, however as others slow we catch up. We tend to have greater levels of concentration and are more aware when carrying out tasks that require a greater focus, we also improve our short term memory (building a structure) over time and this helps improve our processing speed and reaction time. It’s also important to understand that dyspraxia has a wide spectrum and affects many in a variety of ways, this can also vary from mild to severe. There are online tests, which I must add are only a first pointer before seeking a professional diagnosis. You may have had a child, niece or nephew recently diagnosed and noticed similarities with yourself. There are professionals/psychologists in the UK that can diagnose adults, although I believe this not to be the case in Ireland, as is the same with qualifications. There are many that work in this field, in particular those that are qualified fitness Trainers (gross motor), OT and SPLT and there are many that support academic areas such as dyslexia, dysgraphia and dyscalculia. You can contact us for advice and names of professionals who work in these areas as we have contacts across several countries. Dyspraxia affects basic motor skills - Gross (such as walking, sitting upright and balance) and Fine motor skills which include many things (such as writing or picking up small objects), in children as well as adults. This is something that will last for life and it is recognised by many international organisations, including the WHO (World Health Organisation). We take Dyspraxia to our end and that is the same with our close cousin dyslexia. The secret is learning to cope and work around these. As an adult, we find that DCD can affect so many things… learning to drive, dancing, playing sport, further education, employment and even relationships. This can be as a result of being over anxious, frightened of failure and through a general lack of self-belief/confidence and also through poor organisation skills. It can also bring about language problems and this can be exacerbated through increased anxiety or pressure… we can often throw out random words or indeed full sentences and can also have problems with voice control, including volume, speed and pitch. We also have a tendency to interrupt others and often have to apologise for cutting in on conversation (due to slow processing speed). Dyspraxia never goes away but we can learn how to cope with it. If you think you may have dyspraxia and want to follow it up, perhaps as a result of a family member being diagnosed and you may recognise similar traits in yourself, given that it is often present or can run in families, first check with your GP. You can also contact an Educational Psychologist or Occupational Therapist that specialises in dyspraxia... in Ireland you can check with the Psychological Society of Ireland. If you are in the United States, we have contacts over there that can provide further details. Dyspraxia is relatively new when compared to dyslexia, however new research is coming to the fore, which is leading to improved diagnosis and the availability of resources. It’s an area well worth keeping an eye on, so you are up to date with the disorder. Is it so hard to understand those who need to learn in a different way! Teaching in general is a very difficult but rewarding profession. The biggest problem facing existing staff is the lack of opportunities to upskill, and if we are to get on top of learning needs this is essential! In the UK they have introduced this very important addition to the skill set in teacher training and not before time. We still need to make this the case in many other countries around the globe. These new teacher/trainers have an uphill task as is! Early expectations from others and indeed themselves is to hit the ground running. The big fear is lack of support and acceptance of these new energetic vibrant thinkers and their ideas. Many see them as a hindrance or threat! They should be both embraced for all their good will and great ideas and nurtured to ensure they remain enthusiastic and buoyant. Teaching will heap enough pressure on them as is! Walking into a new school with little knowledge of the pupil’s needs and possible hostile environment gives the new teacher little time to take stock, catch their breath or indeed reflect. This is also evident in learning resource centres or specialist schools. Most up to now have been self-taught. Knowledge is power and it’s very important that new teachers are both eased in and encouraged, both in and outside of inclusive teaching environments! The adage is a ratio of one in ten children have an individual learning need, however recent research in the UK has pointed to an increase… we were aware greater numbers but didn’t want to take heed of it. The big worry is that governments will try to change the parameters to address the numbers rather than offer actual support! The big problem is that some experienced teachers don’t see this as a problem and some are reluctant to retrain. The new recruits will get quickly absorbed into this way of thinking if we don’t take care and endorse both their thinking and methods of approach. Understanding of this area is paramount if we wish to make learning truly inclusive. Where has the increase come from? Many children that wouldn’t have been considered as having a learning need have been failed by society and successive governments. Socio-economic reasons also have their part to play. If we are to ensure best practice we don’t just need to look at successful teaching. We need to look at poor practice and see why this is failing. Many teachers are propped up by other teachers within a course. I have witnessed this first hand during my years as a teacher. As we know, the curriculum is wide and students can excel in some subject areas giving them a variation in scores. This can also have a variant where more than one teacher is teaching a subject or a particular year of the program. Many parents have mentioned to me about the change in their children from year to year and it’s not the child or school that changes (that’s a constant), the teacher does (that’s a variable)! Many believe that those working in this area have qualified as something special whereas for the most, as mentioned, it’s themselves that have up skilled. These staff are rare and we need more, however we now have a greater understanding and should be able to think on a much wider plane when it comes to teacher training. We need to put new teachers into schools that are non-confrontational for the first few years to help build their confidence and allow their new techniques to flourish and cascade to others. Then they will be ready to be deployed in schools that are operating below par! They are so often used as cannon fodder in troubled schools where no one wants to teach. This is a dog chasing its tail as many get disillusioned and either emigrate or leave the profession altogether. The teacher is not the only issue here… good support, modern thinking and adequate resources are key ingredients. Changing exam structures to continual assessment does not address those students disaffected with school. It’s a myth! This puts unnecessary pressure on both resources and teachers. Reducing class sizes would also allow this to flourish and we would see far greater exam successes. The Curriculum needs to be embraced by all. Results are driven by like minded people. A broad look at all subjects for each child needs to be looked at and understood. Why is the Geography or Art teacher raving about a pupil that’s being condemned as a no hope by the English teacher? The curriculum should be both available and achievable for all students within the learning environment. Assessment should be fit for purpose. It’s so important to look at the needs of each student both now, previously and in the future. Many view this as a hot potato and try to dissuade difficult students from signing up to the school. Few take into account valuable information gleaned by their previous schools. Information should be available to all, including supply teachers! These are often the forgotten few…just like newbies, they have to know all the background of the pupils and hit the ground running. The last school I taught at used to have group/course folders with all the individual students’ information and stages of teaching/curriculum within. All of this helps to nourish and grow a better learning environment. Encourage both the deployment and re-training of support staff! This is to be both admired and valued. Don’t let staff take up the role simply because they chose the short straw or they see it as an easy option. This is a vocation and needs to be taught with both heart and humanity. It’s seen by many as costly and of little worth, we have to change this mind set! I would love to hear from teachers who have qualified having also been there themselves as a learner with a learning need. I indeed qualified to teach off the back of a real struggle with both educators and the system myself, so I could give an opportunity to those who had been let down by the system in the past. Resource needs to be beneficial and measured for success. We need also to consider resourcing at academic age and not chronological ages! Teaching in an environment where all students feel included is so rewarding and stimulating for the educator. Be mindful of individual students and how vulnerable they can be. For example many with dyspraxia or dyslexia will die a thousand deaths if they are asked to read out loud. On the other hand they don’t want to be smothered. Many children feel resource carries a stigma and yet we support all students in one way or another, be it academics in Art and Crafts or non-academics in English and Maths. We need to embrace those that have varying learning styles and teach the benefits of their individuality and creativity to others. We all need each other to survive this life! It really isn’t horses for courses! Students learn at a varying pace and style… many excel in some subjects, few excel in all areas of study. It’s up to teachers to measure learning minute by minute and adjust if needs be. Students don’t just switch off or drift off! Lack of stimulation or being unable to understand is the key to most switching off. Even the workload should and can be varied! Simple things like time tabling lessons. Why do schools have back to back Maths or English lessons and business or another language? How do children with processing cope with that? Simple… they don’t! Every student needs to have time to reflect, process and go again, so why not English, Art then Maths? That way we get a chance to clear our mind in the creative subjects and the academics don’t become bored. Win win! Don’t forget the parents. There are two issues here. One… they might have had a bad experience in school themselves and are maybe not academic or two… they are academic and cannot see why their child don’t understand all of the subjects they’re being taught. Many don’t turn up for parent evenings for fear of embarrassment or simply it brings back bad memories! Learning needs can run through families. This should be monitored. The above should also be taken into consideration when issuing homework. There’s not always someone at home that can understand the work at hand (new mathematical methods). Nb If your child is starting a new school make sure the provision is there before you register them. We often try to learn in the style of others (not our learning style). Meaning we focus on the unknown rather than the known areas within in a subject. I have written extensively on brain types as many regular visitors to my blog will testify. 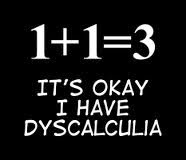 Well, here we go again, most like me who are dyslexic, dyscalculic, dysgraphic or dyspraxia will know that we learn better when we relate the subject required to a real time event. We have an excellent long-term memory and poor short term, most events/happenings are stored in our long-term memory. Would it not therefore make sense to utilise this strength! 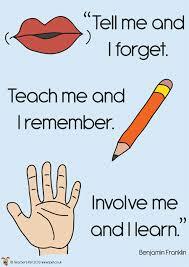 Most like me tend to do better as a returning learner than we do during our initial education, why. We have had more events, more happenings, and yes we have increased our long-term memory bank, this allows us to relate our learning to our real life events. We are far from suggesting that all students studying for the first time should skip education or press pause till they reach mid to late twenties. But it does mean that teachers/educators and parents should look at this and try to devise methods that allow the student to work in a kinaesthetic way. Relating things such as mathematics, and language, the very way we would in technology classes. When I want to see an improvement in my language skill, I take a trip abroad. Eat with the locals, and try to live as they do. When I am shopping, I use that language in my head to prompt purchases. I am living the lesson and guess what it works. I so often heard my teachers mention that I was lazy and stupid, yet I could take anything apart and fix it without manuals. Much to the amazement of others. Can you teach a football player, chef, mechanic; to play football, cook, or repair cars from a classroom, the answer is a simple no. Education and its direction for teaching are much more simplistic than the chicken or the egg. If industry came before education, why wasn't education based on industry! Experiential learning (learn by doing/experience) is just that, we glean much from what we do in practical, hands-on ways, opposed to the academic study that is taught in a linear way. Certainly core subjects; described in simple terms as the process of acquiring information through the study of a given subject (maths, English) without the necessity for direct hands on experience. We know that both methods aim at instilling knowledge with the students as individuals; however one size doesn’t fit all. Those that have a strong left hemisphere are more likely to gain from linear structured tuition and the right hemisphere from more creative, practical demonstrations. 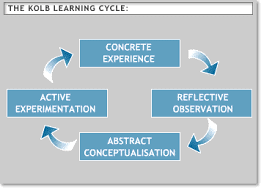 Jacobson and Ruddy, working on developing Kolb's four-stage Experiential Learning Model and Pfeiffer and Jones's with their five stage Experiential Learning Cycle. Taking these theoretical frameworks and created a simple, practical questioning model for educators to use in promoting real life and critical reflection within experiential learning and development. • Does that happen in life? • Why does that happen? • How can you use that? These questions are put forward by the educator after a given experience, and gradually lead the group towards a critical evaluation. Using reflection on the given experience, and an understanding of how they can apply the learning to their life (lateral thinking expanded). I recently watched far from a madding crowd the other day and being a visual factual learner I took more from the production. Thomas Hardy worked the plot and created the various twists and turns…indeed, I am more likely to read a book if it’s an autobiography than I would fiction. We, often quoted as being three-dimensional learners and we thrive on adding value to our life through learning and teaching us through a linear program doesn’t press the right buttons. Turn your child's homework into a practical experience and yes that can be done in all subjects including Maths. 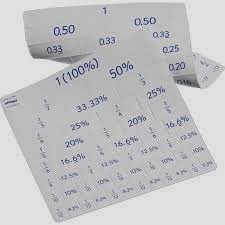 Cut up boxes to calculate area, or fill a measuring jug. Use foot tapping for tables, add and subtract. Get them to help you cook and turn that into maths. Cutting a slab of butter is division and subtraction. Oven temperature plays a part and timings (lapsed time). If you can do it and make it stick then so should teachers/educators.